The public’s reliance on social media for vital information has and will continue to increase, and its influence on personal decision-making regarding health. Perhaps one of the most successful public health interventions in history, the advent of vaccines has led to the global eradication of smallpox, the nearly global eradication of polio, and a drastic decrease in the morbidity and mortality associated with other infectious diseases.1 As a result, many parents are unaware of the threats that these infectious diseases posed for previous generations, and as such, may believe that vaccinations are no longer necessary for their children. Many members of the medical and scientific communities believe that vaccine hesitancy is a major threat to global health, and since 2013, the World Economic Forum has listed digital misinformation among the main threats to our society.4 Social media platforms have created a direct path for users to produce and consume content, reshaping the way people receive information. 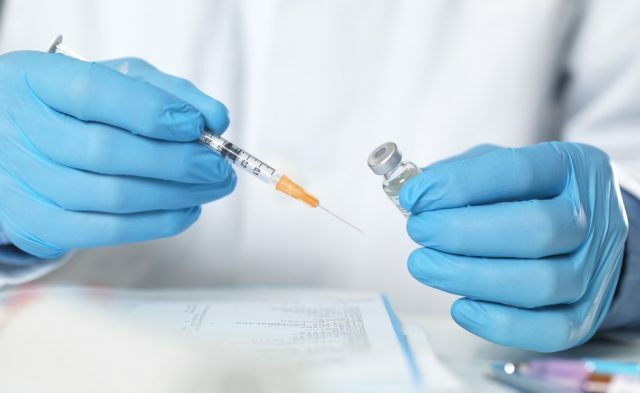 Anti-vaccination rhetoric has become part of the mainstream dialogue regarding childhood vaccination, and social media is often employed to foster online spaces that strengthen and popularize anti-vaccination theories. None of the interventions increased a parent’s desire to vaccinate a child. While disproving claims of an MMR-autism link reduced misconceptions that vaccines cause autism, intent to vaccinate their children was decreased in parents who had the least positive attitudes toward vaccination. In addition, images of sick children increased belief in a vaccine-autism link, while the measles narrative increased beliefs in vaccine side effects. The effect of vaccination refusal on public health is particularly challenging when misinformation is disseminated through social media. Thought influencers in the anti-vaccine movement include doctors, celebrities, community organizers, and “mommy bloggers” who collectively speak to an audience of about 7 million Facebook followers.1 The potential for disseminating harmful health-related information through social media seems to be at an all-time high. Social media echo chambers—where users only hear and see information that echoes their own beliefs—further energize the anti-vaccine movement. Clusters of users with opposing views rarely interact with one another, leaving little room for constructive debate. A 2017 study4 analyzed the interaction of 2.6 million Facebook users over 7 years and 5 months. This study’s authors found that the consumption of content about vaccines is dominated by the echo chamber effect, and polarization increased over the years. Online users selected information adhering to their belief systems, tended to ignore dissenting information, and joined polarized groups that reinforced that shared narrative, according to the study. These segregated communities emerged directly from users’ consumption habits, which may explain why social media campaigns that provide accurate information have limited reach. Vaccine refusal has also been promoted on Twitter. A study2 found that Twitter users who were more often exposed to negative opinions about the safety and value of human papillomavirus (HPV) vaccines were more likely to tweet negative opinions than users who were more often exposed to neutral or positive information. These tweets, which included misinformation, anecdotes, and opinions that may result in vaccine hesitancy or refusal, made up the majority of HPV vaccine-related information exposures for nearly 30% of users that tweeted about HPV vaccines during the study period. In addition, users expressing negative opinions about HPV vaccines were more closely connected to other users expressing the same opinions. 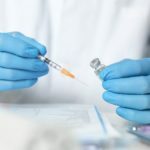 Social media, while fertile ground for activity for anti-vaccine activists, also can provide a platform for understanding the motivations behind vaccine hesitancy and refusal. The casual nature of social media has altered the doctor-patient interaction—and profoundly changed the way information is disseminated. Empowering experts and health officials to participate in discussions on social media about vaccination is critical to bridging the vaccination information gap. The public’s reliance on social media for vital information has and will continue to increase, and its influence on personal decision-making regarding health. The immediacy and informal nature of social media gives thought leaders a marked advantage in communicating with and influencing the public. In an era when more than 2.3 billion people in 232 countries are active on social media,7 the public health community can correct misinformation by establishing its own social media communities and leveraging established channels to provide facts about the safety and value of vaccines. Nyhan B, Reifler J, Richey S, Freed GL. Effective Messages in Vaccine Promotion: A Randomized Trial Pediatrics. 2014;133(4).